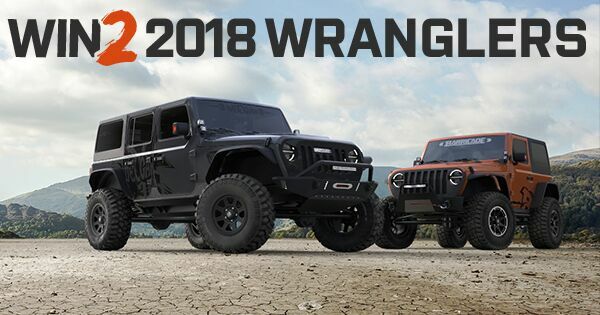 ExtremeTerrain is excited to give away two brand new 2018 JL Wranglers that have been modified from bumper to bumper in typical XT fashion. One lucky winner will be given the keys to two JL Wranglers, one 4-door model and one 2-door model, that can be shared with a friend, a significant other, or both can be held onto by the winning party. Entered thanks for posting that up! It says you can enter once a week.